Clean your sperry shoes with a simple solution. The Sperry Top-Sider, also frequently referred to as the "boat shoe," is a popular brand of shoe that is particularly apt for the wet surfaces encountered when sailing. Because of their exposure to ocean water, however, they can often become stained with salt if not properly cleaned after each use. 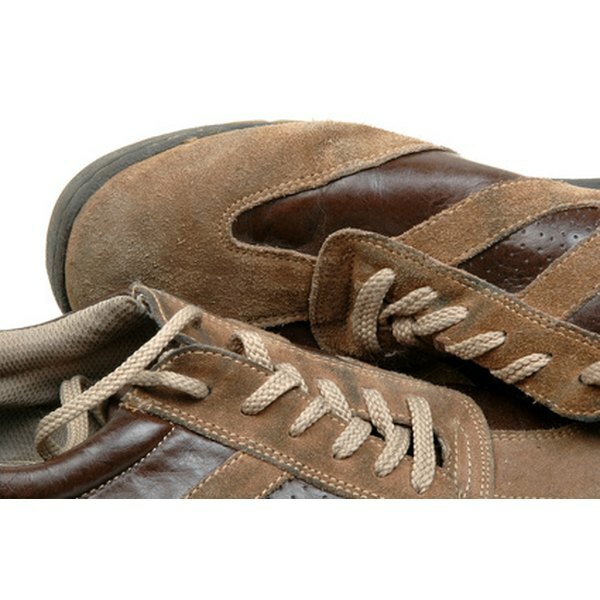 To easily clean the stains on your Sperry shoes, you can apply a simple homemade solution for professional-looking results. Mix 2 cups of warm tap water with 2 tbsp. of white vinegar in a container. Dip one end of the clean cloth into the solution and allow it to thoroughly soak up the vinegar and water for 15 seconds. Remove the cloth from the solution and firmly rub it on to the Sperry shoes to remove the stains. Re-apply the solution to the cloth when necessary. Position the Sperry shoes in an outdoor area so that they can air-dry quickly before using them again.